I came accross an article calles 'Weapons, Bribes And Dctators: Where Architects Draw The Line' by Fast CoDesign. 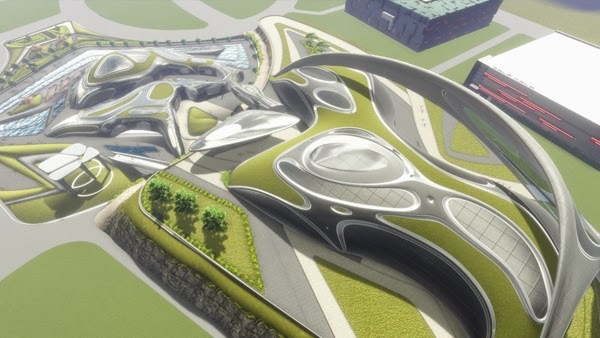 The article talks about Zaha Hadid's project for the World Cup of 2022, which hundreds of workers that where working on the project have lost their lives. Zaha Hadid defends herself by saying that these matters are out of her control and she cannot do anything for it. The article continues with 5 Renowned Architects talking about their limits, what building they would refuse to design and what type of projects do they prefer taking. In my personal opinion and observation, each firm should have a limit to what project they would take. Architects and Designers is a link to saving the planet. Sustainable Design is about designing buildings and projects that will positevily contribute to this planet, that includes to the human population and any other life that populates the earth. If limits are ignored and buildings are designed that will negatively affect the environment, then our chance of making this planet a better place will slowly fade away.